Innovative and alternative high-density parking systems are making their mark in the USA, as urban development and the demand for parking is forcing the conventional parking garage to become a more sustainable structure. Awarded for the Adaptive Re-use Preservation Prize by Jersey City Landmarks Conservancy for the creative transformation of a former chemical company to residential apartments, M650 Flats by Brunelleschi Construction, LLC on McGinley Square, Jersey City NJ is the first project in Jersey City to follow the trend of sustainable parking using innovative high-density parking systems that allow residents to self-park without the need for an attendant. 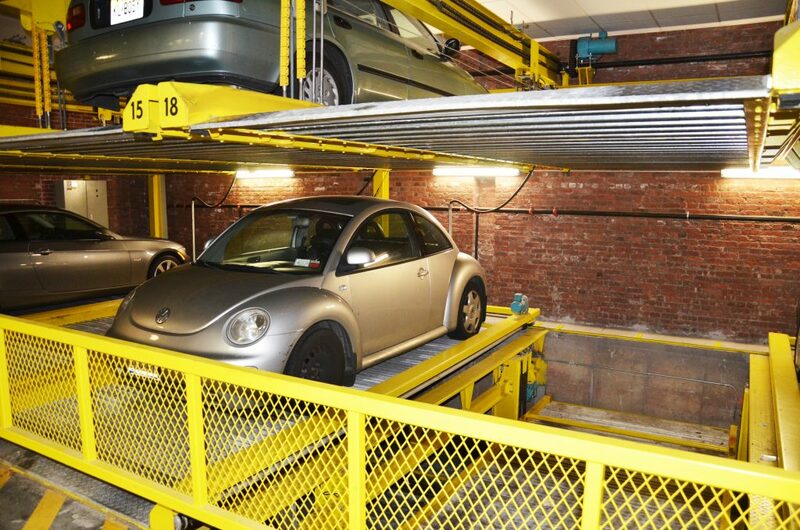 The semi-automated “Lift-Sliding” system supplied by New Jersey based firm PARKPLUS. simply maneuvers vehicles on platforms vertically and horizontally in a formalized structure allowing efficient direct access to vehicles at grade-level, which can be controlled using a regular garage remote. The system is modular and can be customized to suit each application, with the ability to stack up to 6 vehicles above grade and 2 vehicles below grade, giving a stacking capability of 8 vehicles in the space usually occupied by a single vehicle. The system can be retrofitted to existing buildings or customized for indoor/outdoor applications, complete with external cladding, garage doors and roof. 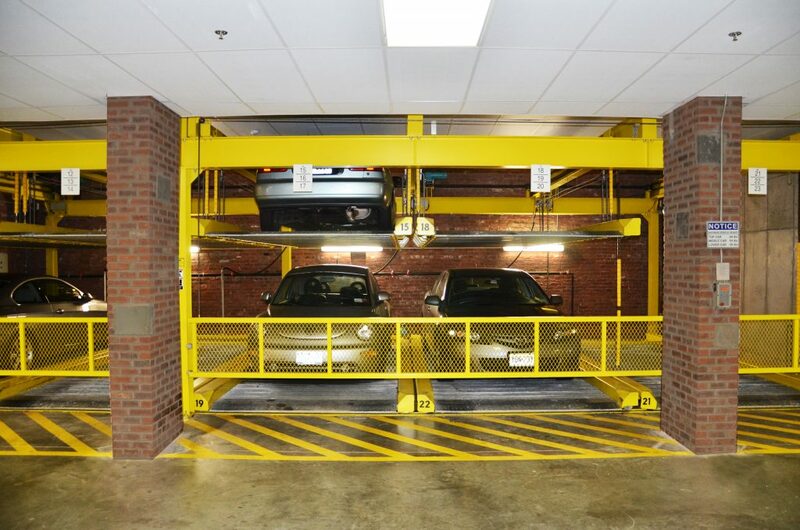 “Residents love the idea and are excited to use a sensible and well-organized system to maximize parking space without jeopardizing useful area”, remarked Anthony Carrino, resident at M650 Flats and co-owner of Brunelleschi Construction, LLC “…the system transformed 5 regular parking spaces into 14 parking spaces without any additional floor area of the garage”, stated Carrino. Architects, Developers and Urban Planners are recognizing the advantages that high-density parking equipment provides, including reduced carbon footprints, efficient land-use, useful space organization, and cost savings. 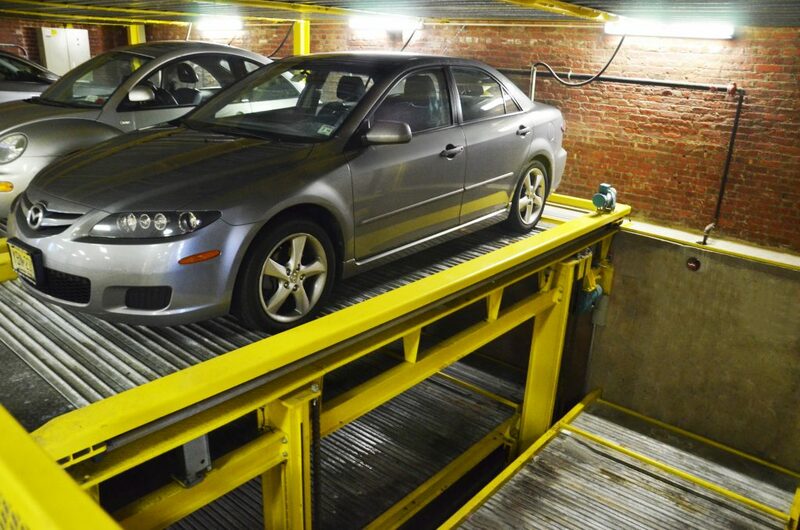 Mechanical parking systems such as these are transforming approaches to garage thinking, following trends that have become the norm in Europe and Asia.